Enjoy a fun Hawaiian-style evening with a Roast Beef Buffet Dinner & Polynesian Journey Show! 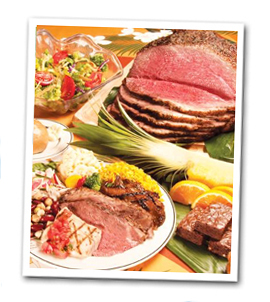 Join us for a fun tropical evening with roast beef dinner buffet and Polynesian show! You'll feel right at home on this casual, high-value sunset cruise. Friendly crew welcome you with a Signature Mai Tai and share the spirit of Aloha as you enjoy incredible ocean views, "Polynesian Journey" show. A variety of live entertainment, like no other, starting with the STAR's pier-side welcome hula. During dinner, enjoy our "Polynesian Journey" show and relaxing Hawaiian music, including strolling musician to take requests. Fun audience participation and dancing commences until disembarkation. One Star Signature Mai Tai is served. Additional beverages and special selection of vintage wine and champagne by the bottle available for purchase. Transportation Add transportation to your cruise. Motorcoach, Air-conditioned, Round-trip from Waikiki: $14.00 per person.